Toyota’s announcement last week that it would roll out low-cost advanced, safety packages to nearly all Toyota and Lexus vehicles could dramatically cut into collision repair. Announced ahead of the feature’s introduction with the 2016 Lexus RX and hybrid RAV4, the Toyota Safety Sense C and Lexus Safety System+ options will cost between $300-$635 and feature automatic braking and lane departure alerts. Different versions of the system will be offered for small, mid-sized/premium and luxury vehicles. The small-car option, Safety Sense C, will cost $300; the medium Safety Sense P will cost $500; and the luxury Safety System+ will cost $500-$635. 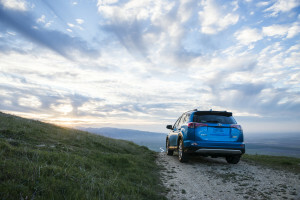 Claims Journal estimated the systems in other vehicles cost about $2,000, and the Los Angeles Times observed that a similar Subaru system is $1,195. The move by 2014’s third biggest U.S. automaker (according to GoodCarBadCar) could spur No. 1 General Motors and No. 2 Ford to do the same, rushing the technology into the mainstream and seriously affecting a source of revenue for collision repair. “The systems are intended to address commonly occurring crash types according to traffic accident statistical analyses,” Toyota said in a news release. 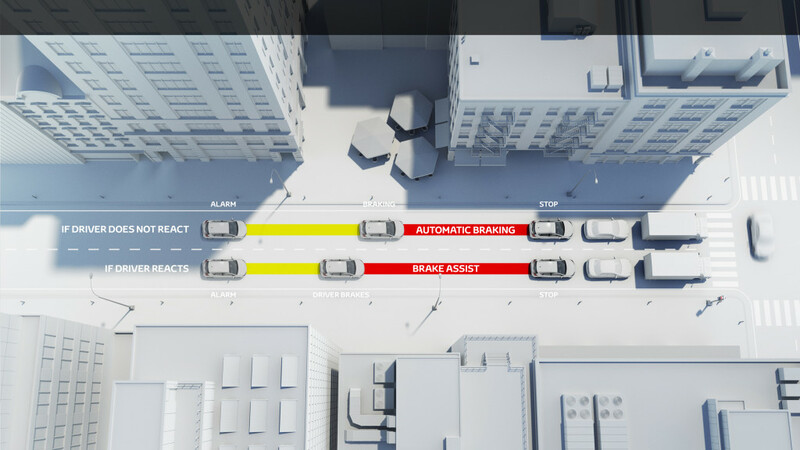 Perhaps the most important feature offered is the “Pre-collision System,” which uses laser rader and a camera to see what vehicle you’re about to hit and works for speeds from 7-50 mph — which Toyota says “covers speeds at which at least 80 percent of rear-end collisions occur.” The system starts by alerting the driver, then adds more force to the braking if the driver acted on the alert and hit the pedal in time. If the driver was incapacitated or still failed to pay attention, PCS can hit the brakes on its own and cut about 19 mph out of your speed. All versions also alert the driver if you’re leaving a lane — combining a camera with the ability to detect white and yellow lane lines — and automatically switch between high and low beams when they notice another oncoming or preceding car. The midsize and Lexus versions use millimeter-wave radar, which according to Toyota is more advanced than laser radar. Both include automatic braking when you’re about to hit another car, but can cut speed by 25 mph and work at your Toyata’s top speed. The system can also detect and brake for pedestrians at speeds of 7-50 mph, cutting your velocity by 19 mph. Also, both have automatic cruise control, which adjusts your speed on the freeway to make sure you stay a certain difference from whatever car is in front of you. Finally, the Lexus edition of the package can for some models use your power steering to help you stay in your lane. Of course, Toyota offers a caveat for these types of sensors: They’re not infallible. Bad road and weather conditions could affect it, as could “vehicle circumstances,” Toyota says. It’s also important to note that Toyota tried its auto-braking options in a Toyota going 19-25 mph and about to hit an object standing still. According to IIHS’ Highway Loss Data Institute, these kind of systems don’t actually stop all crashes — though they seem to cut front-end collisions down by around 15 percent and make them less severe in nature (presumably to the occupants as well as the cars). However, parts typically cost more when these types of options do get into a crash — though it’s unclear what Toyota’s move would mean for replacement prices.